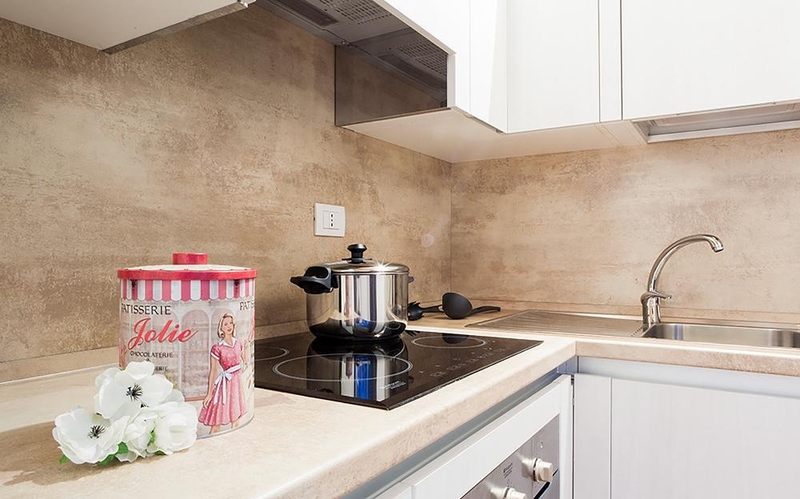 Bright apartment of 76 sqm for 5people with two bedrooms and two bathrooms, located on the second floor of a newly renovated building, just steps from the train station of S. Lucia, easily reachable on foot. 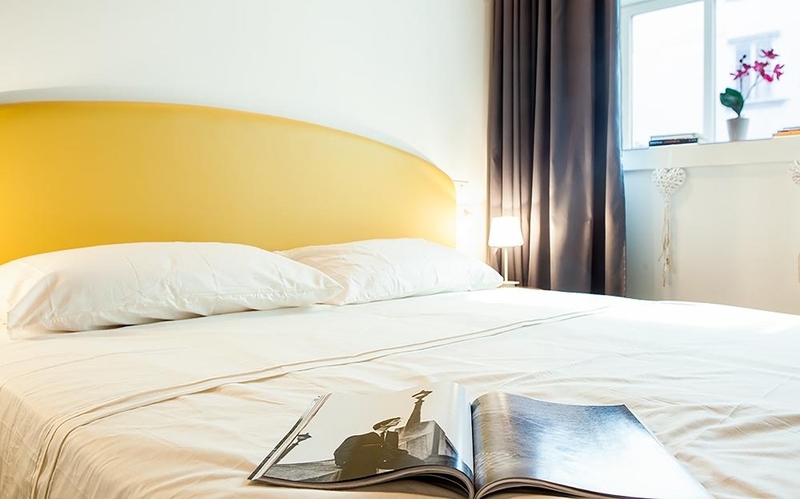 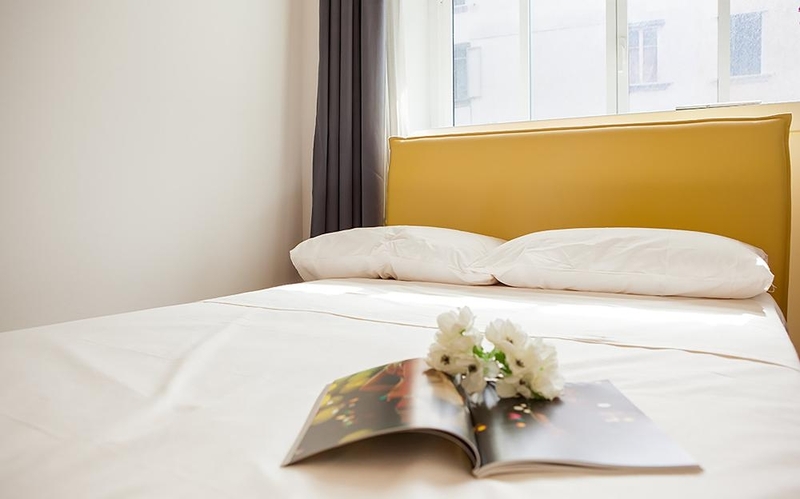 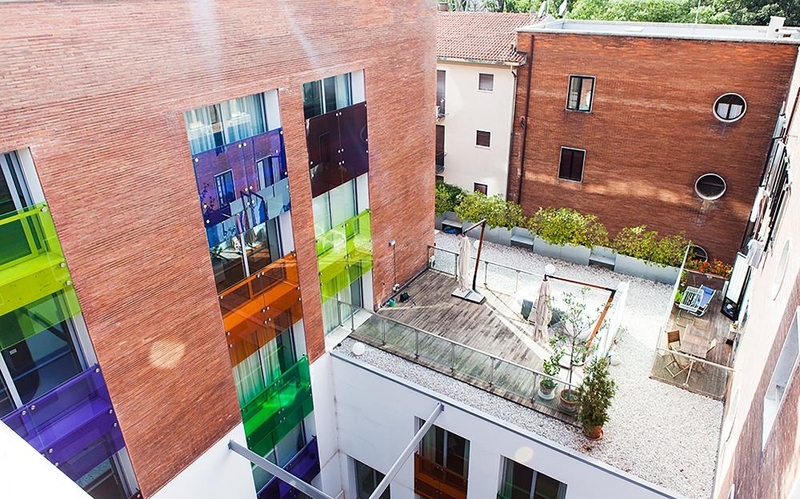 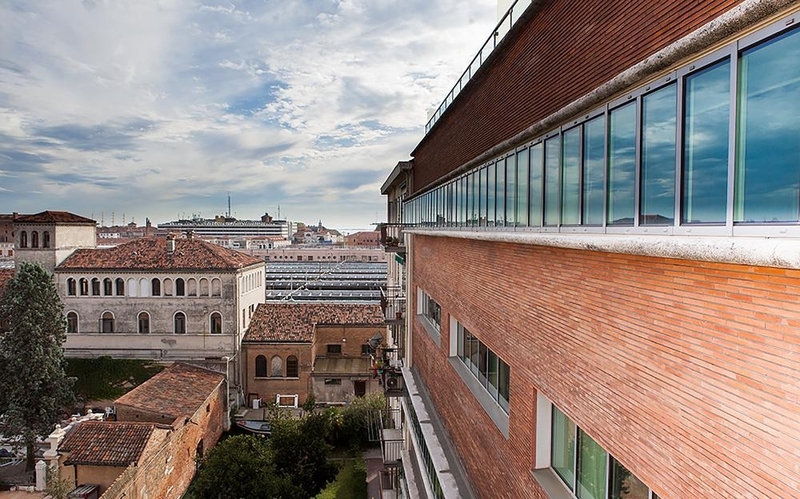 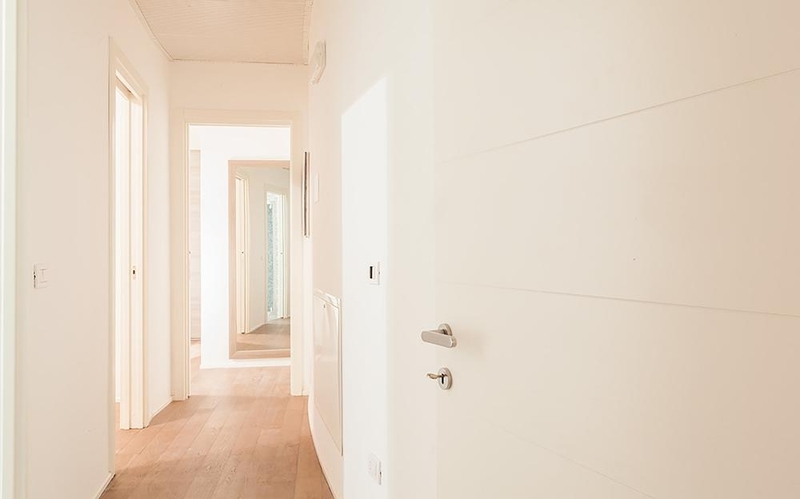 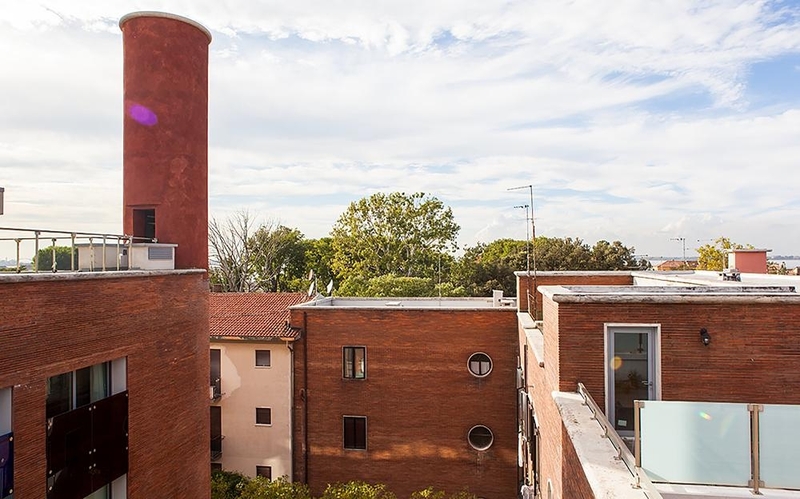 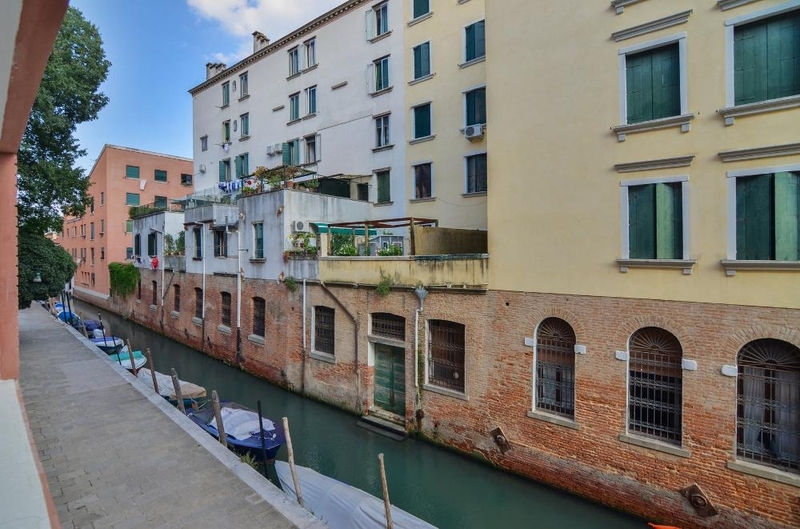 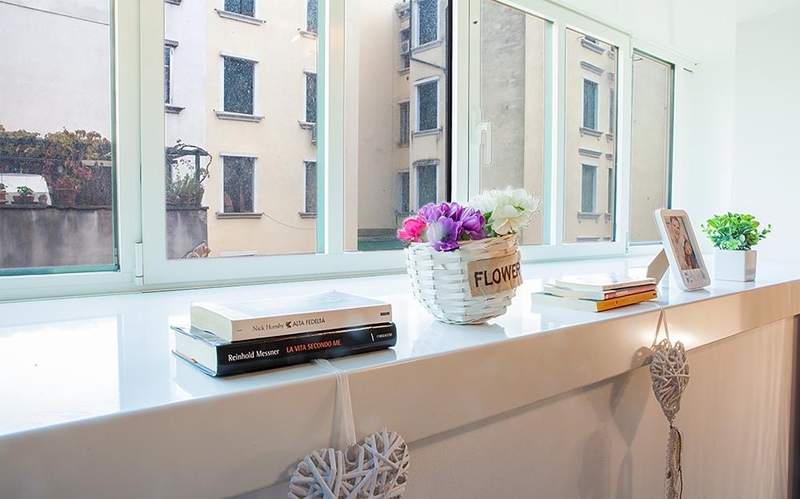 The building, built in the rationalist style in the ’30s, was long used as a thermal power plant, but has recently undergone a complete renovation and is surrounded by a beautiful garden, placed in a quiet side street, 20 minutes from the Rialto Bridge. 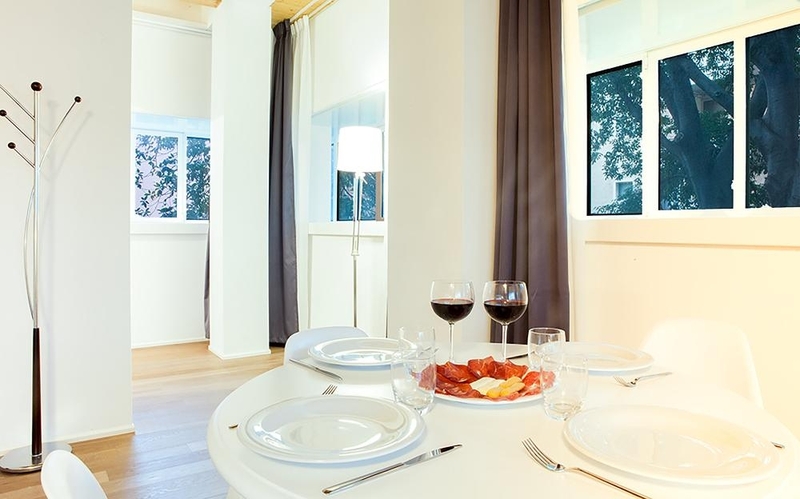 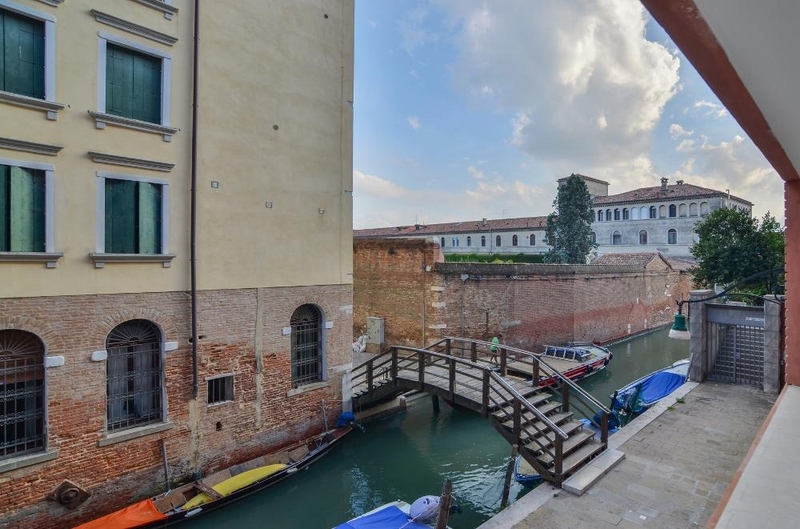 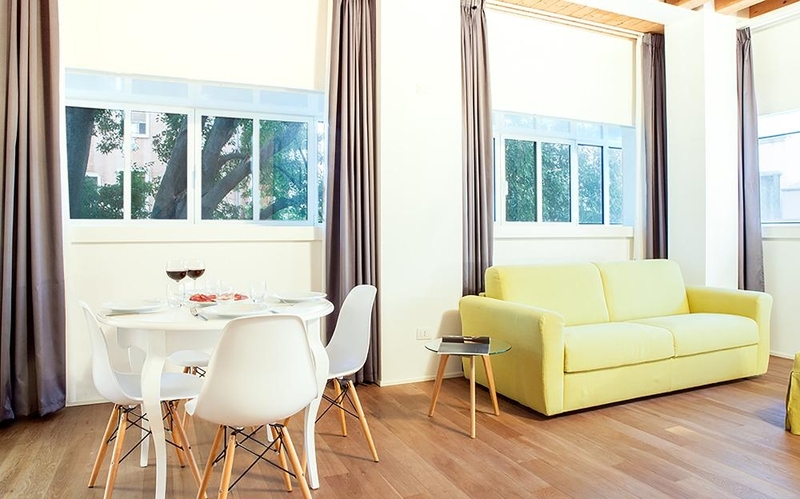 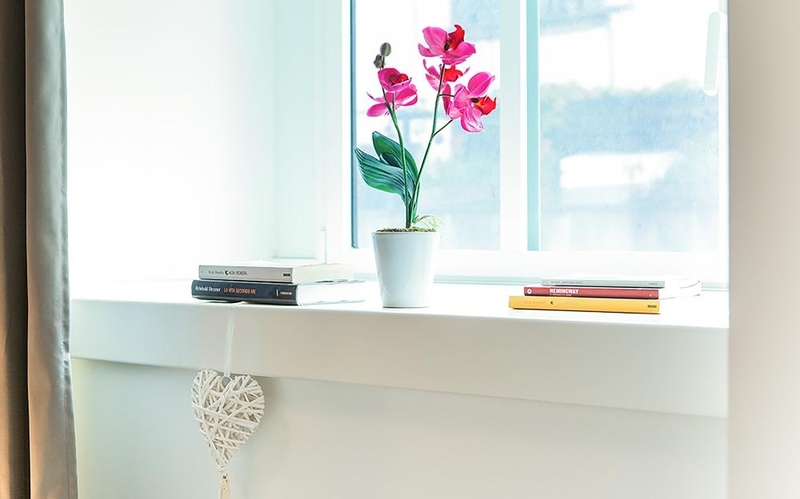 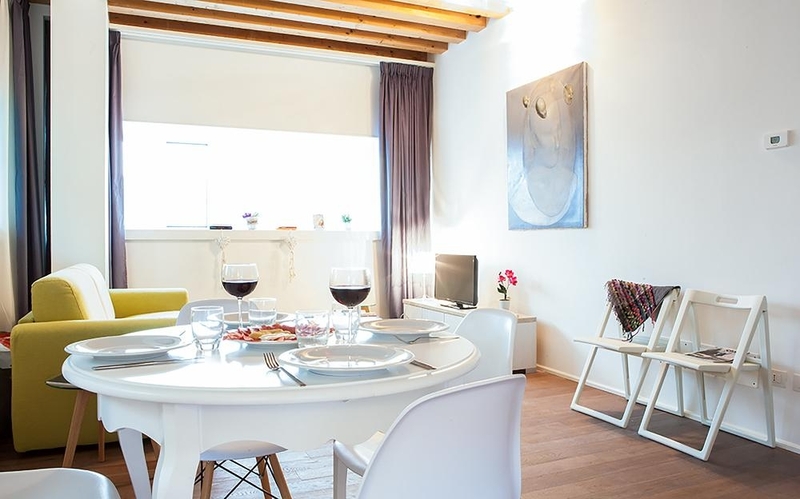 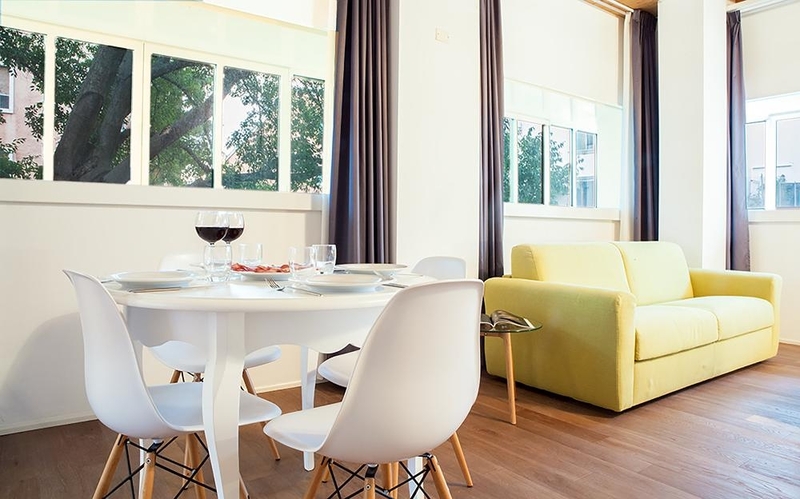 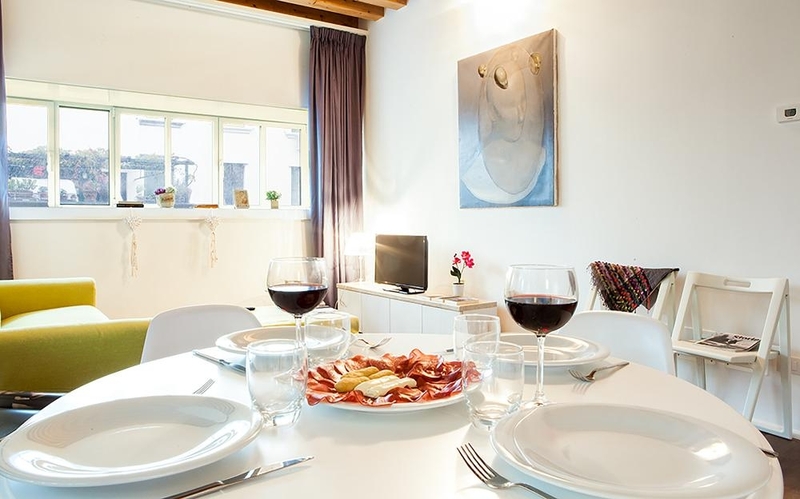 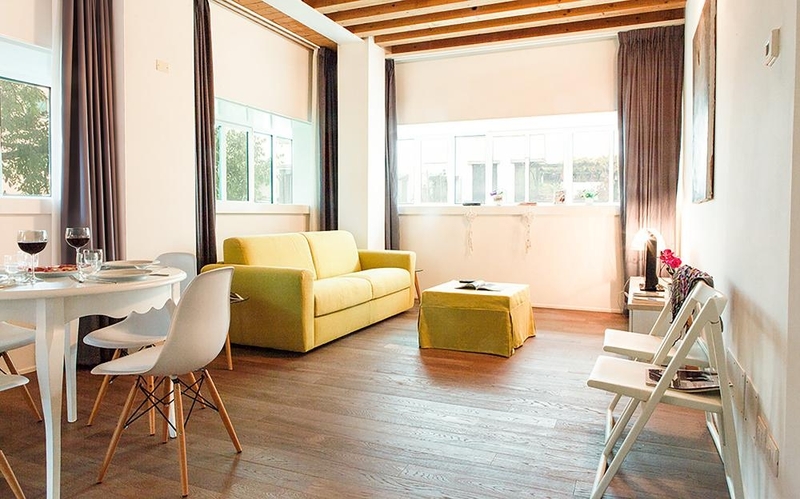 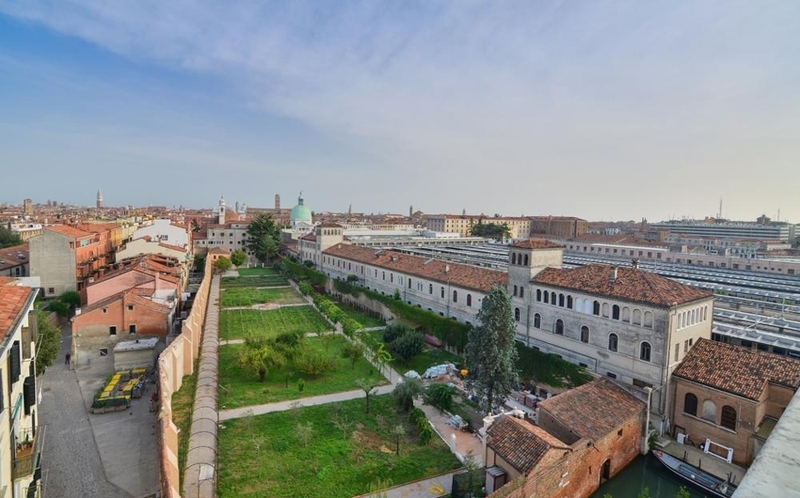 The most striking feature of this apartment are the entirely windowed walls, offering plenty of light, overlooking the canal and the lush garden. 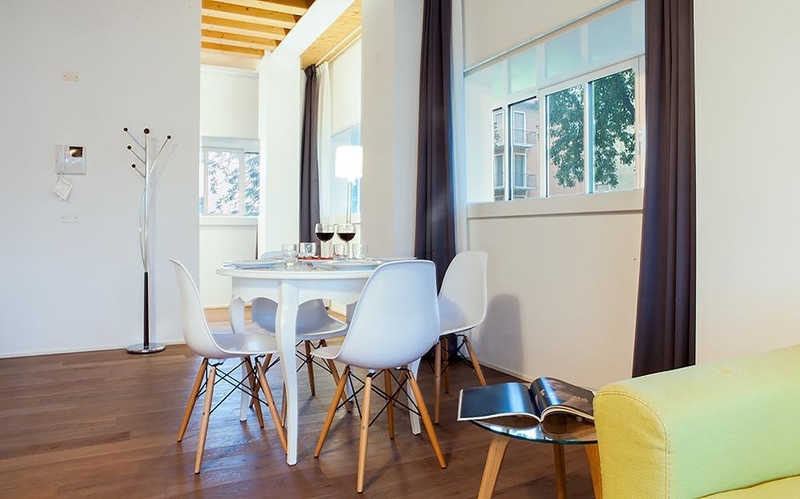 Wooden beams are another interesting detail of the setting. 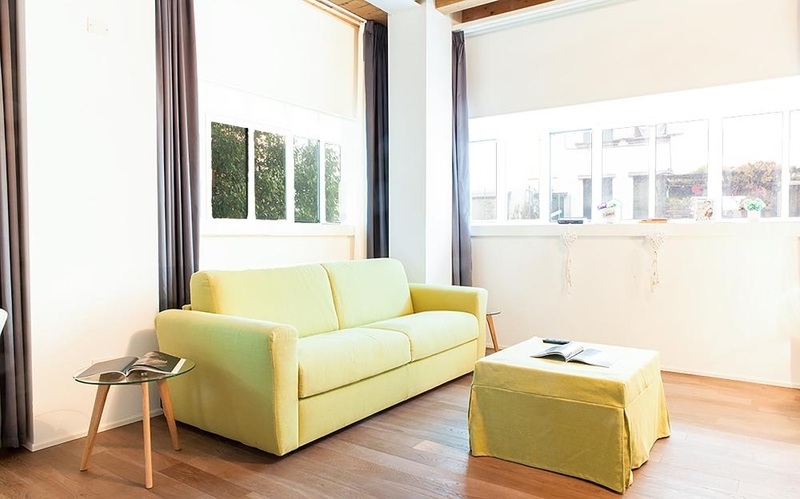 In the living area you will find a sitting area with double sofa bed, TV cabinet and dining table. 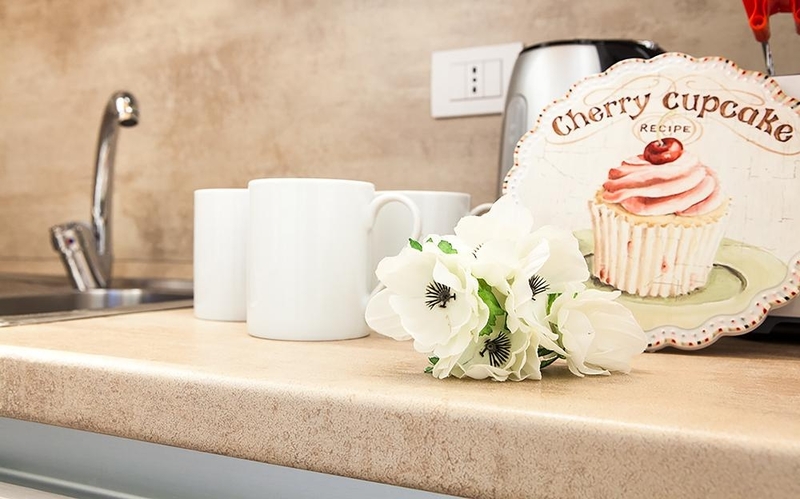 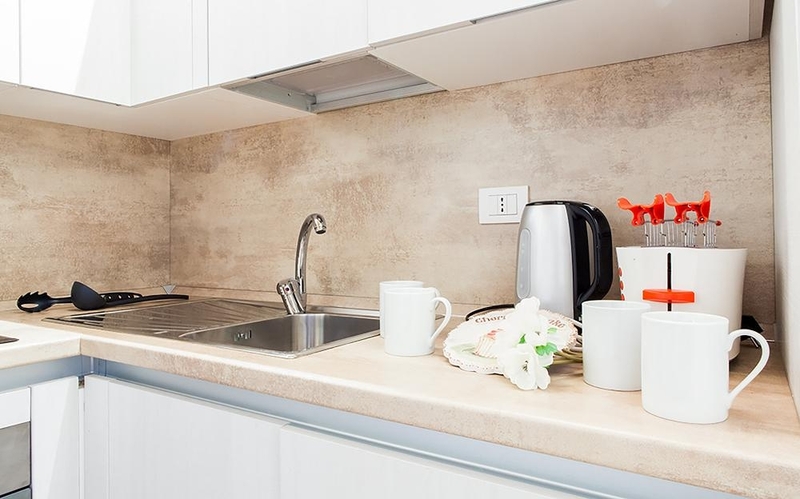 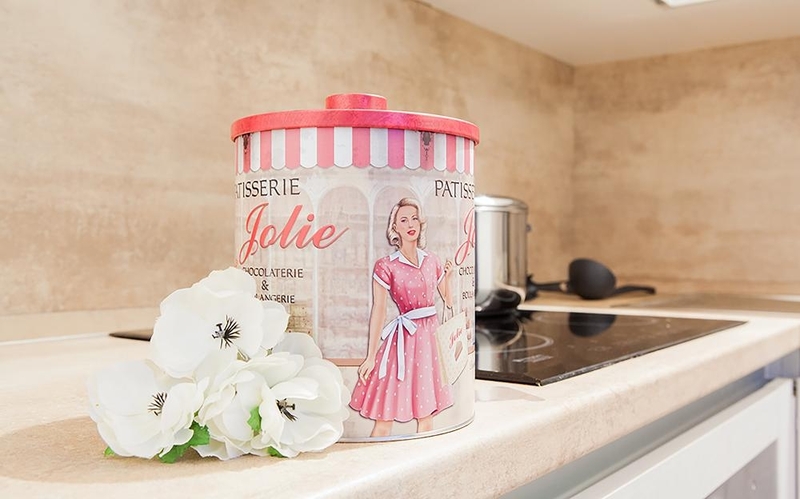 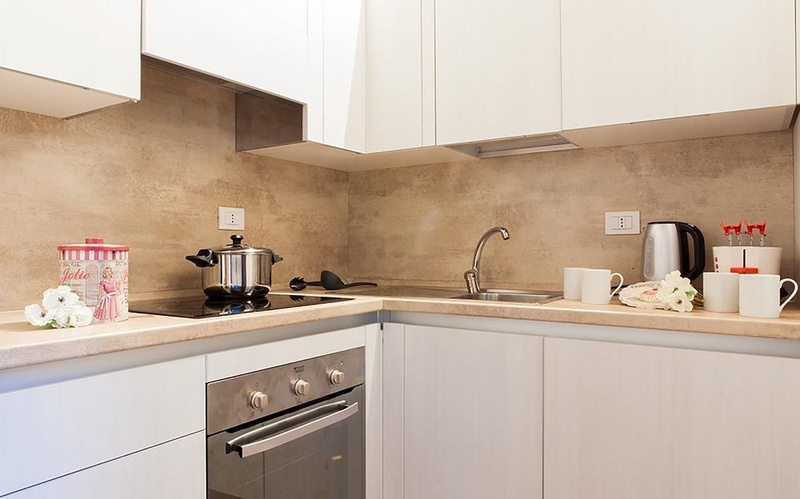 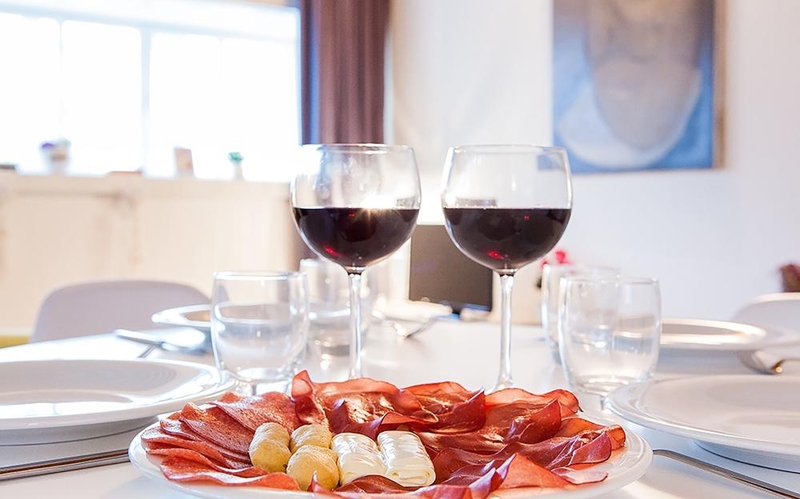 The semi-independent kitchen is equipped with everything you need for cooking: electric oven, microwave, dishes, coffee maker, kettle and toaster and a practical dishwasher. 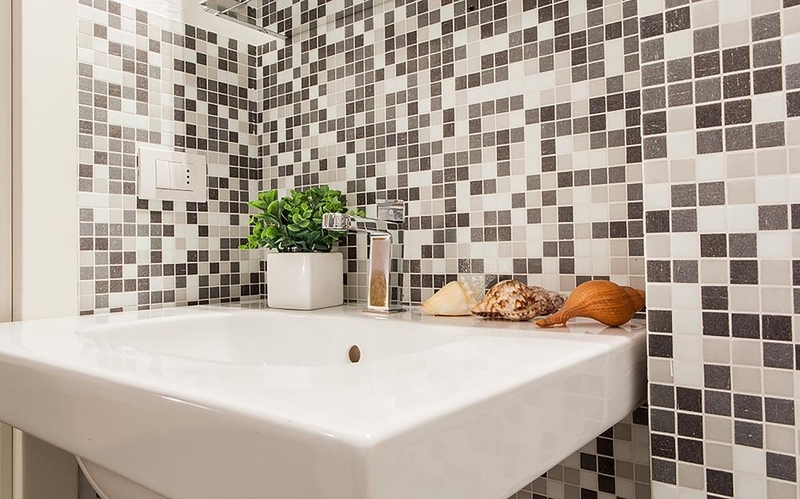 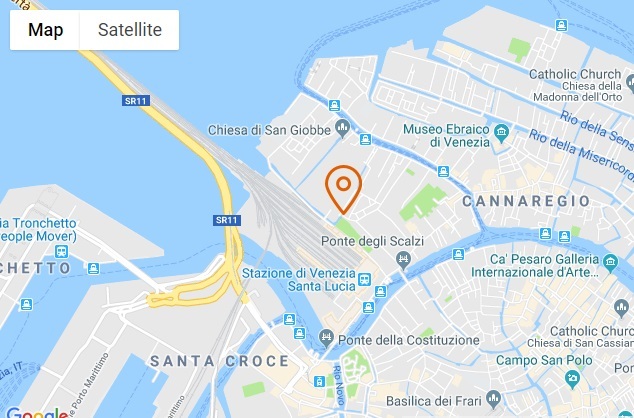 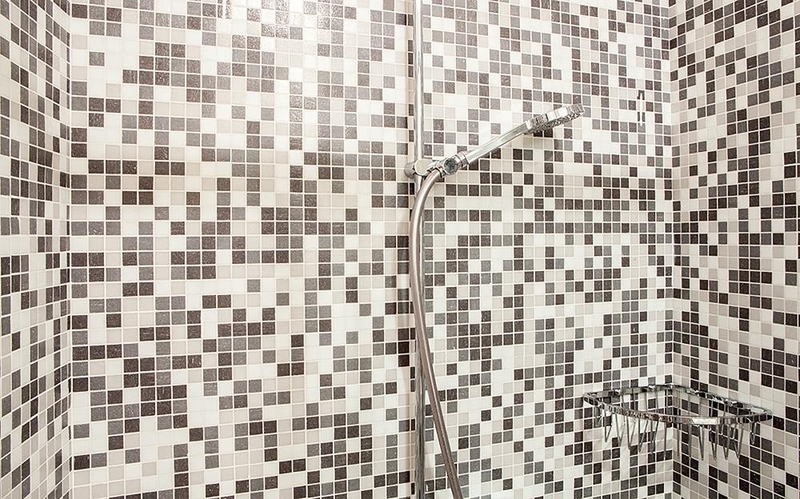 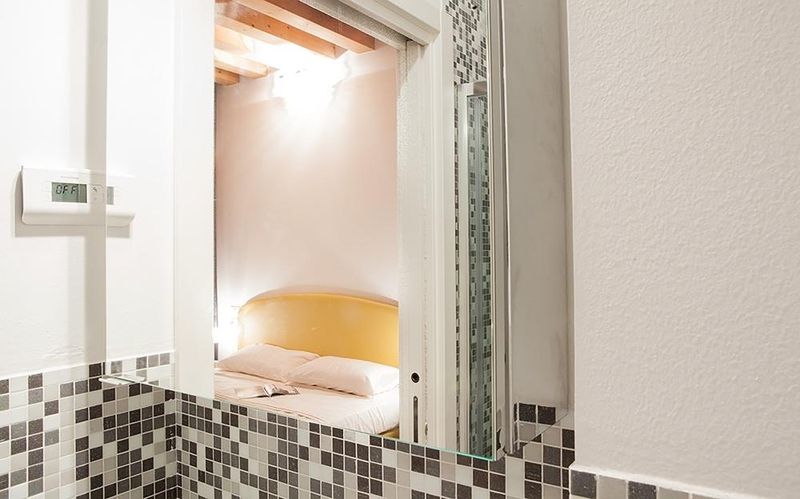 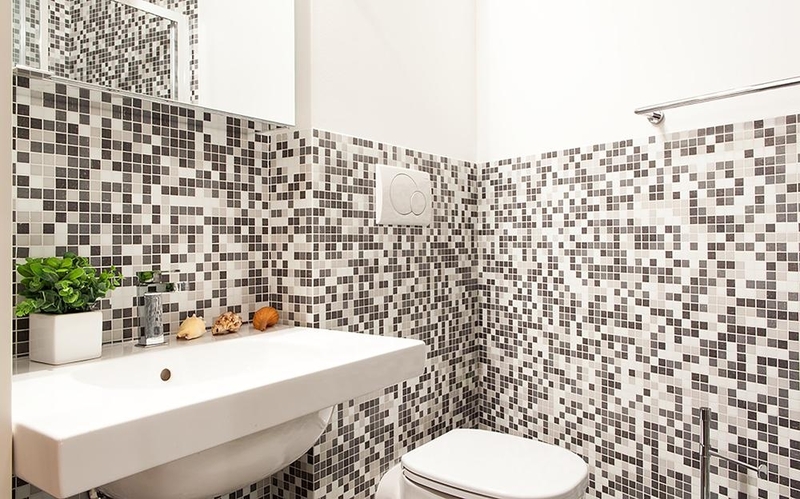 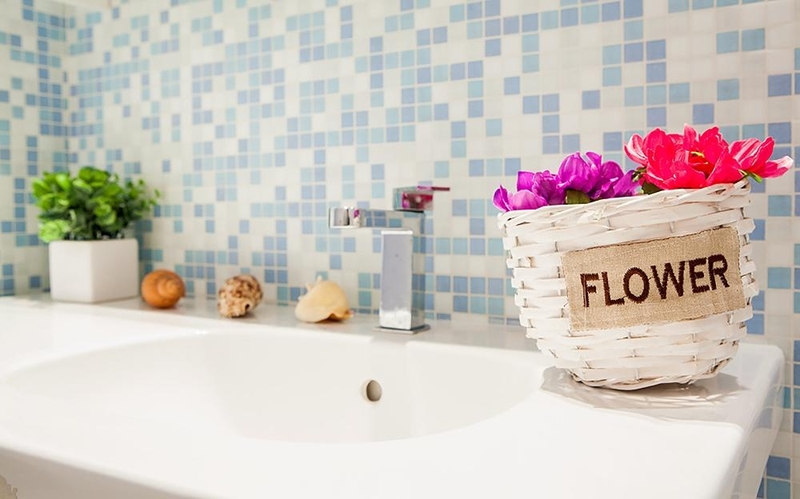 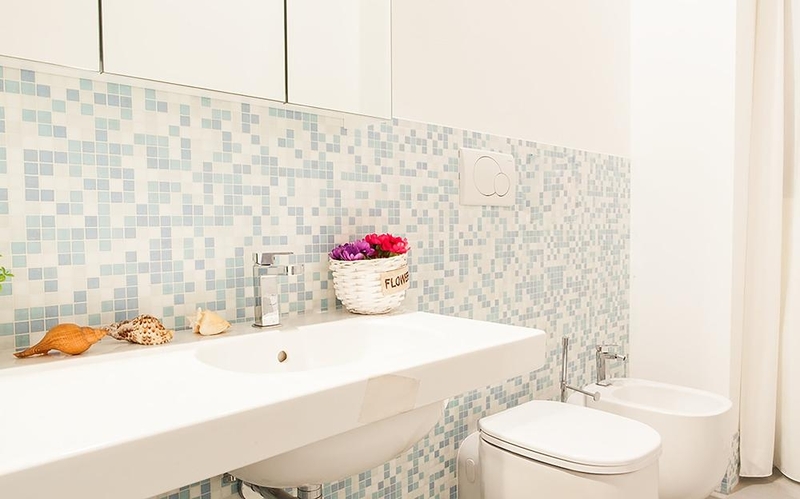 – a bathroom with emotional shower (Turkish bath and color therapy): perfect for relaxing after a day walking around Venice!